Summerland Music Society is intent on enriching the cultural landscape of the Adirondacks by presenting audience-friendly concerts that combine traditional classical repertoire with modern chamber music gems. Multimedia presentations frequently enhance performances by internationally recognized guest artists. Past programs have included silent films with live piano accompaniment as well as collaborations with the Chapman Historical Museum, the Hyde Collection, New York Times bestselling author Andrew Sean Greer, French literature scholar Dr. Domenica Newell-Amato and actors Hillary Parker and David Baecker. In 2016, Summerland Music Society organized a cultural exchange with musicians from the Sonyachne Kolo Festival in Kharkov, Ukraine. In 2012, Summerland Music Society began its residency in partnership with the Folklife Center at Crandall Library. Concerts take place in the library’s Christine L. McDonald Community Room, located in the heart of downtown Glens Falls, New York. Admission is free, with donations gratefully accepted. A native of Lake George, New York, pianist Carol Minor performs internationally as a soloist and chamber musician. She has appeared in recitals in New York, Boston, London, Taiwan and Canada. Venues include London’s Regent Hall, Kaohsiung Cultural Center (Taiwan), Jordan Hall (Boston), WMP Concert Hall (New York) and the Glens Falls Symphony Orchestra’s Musicbridge Festival. Other appearances include the Kleshinski Concert Series (Boston), Carnegie Room Concerts (Nyack, NY), New York University, Manhattanville College, University of New Haven, Tolland (CT) Arts Council, Upper Hudson Musical Arts, and the Hyde Collection Museum. Ms. Minor’s interest in contemporary works has led to performances at many of New York City’s new music spaces including the Tank, the Stone and Roulette. She has commissioned pieces from Pozzi Escot, Lawrence Dillon, Curtis K. Hughes, Yumi Hara Cawkwell, Izzi Ramkissoon, Guy Barash and collaborated with composers Kaija Saariaho, Joan Tower, Karel Husa, Nancy Van de Vate and Robert Cogan on performances of their music. She has also taken part in the Institute and Festival for Contemporary Performance at Mannes College and New England Conservatory’s Summer Institute for Contemporary Performance Practice. Ms. Minor received a Master of Music degree from the State University of New York at Purchase as a student of Marc Silverman and Diane Walsh. She earned a Bachelor of Music degree from the Hartt School (University of Hartford), studying piano with Margreet Francis and chamber music with the Emerson String Quartet. Ms. Minor was formerly a faculty member at the Hartwick College Summer Music Festival, New England Music Camp, Rockland Conservatory, Music School of Westchester and Church Street School for Music and Art in Manhattan. 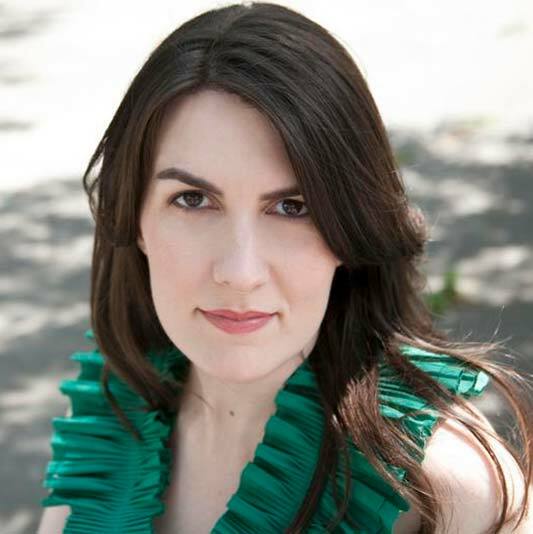 She currently teaches at Hackley School in Tarrytown, NY and is the staff pianist at Convent of the Sacred Heart in Greenwich, CT. She is a ballet pianist for the Conservatory of Dance at SUNY Purchase and the Founding Artistic Director of Summerland Music Society, a chamber music series in the Adirondacks. Mr. Bush holds the position of principal clarinet with the Metro Chamber Orchestra and the Glens Falls Symphony Orchestra. He was a founding member of the contemporary ensemble Callithumpian Consort. 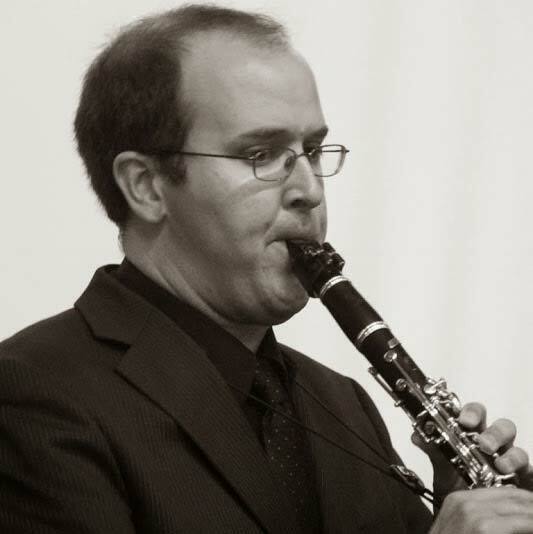 Previously principal clarinetist with the Boston Civic Symphony, Christopher has also performed with the Boston Philharmonic, Albany Symphony, New York String Orchestra, Indian Hill Symphony, Cape Cod Symphony, Nashua Symphony, Granite State Opera, Granite State Symphony, New England Philharmonic, Westchester Chamber Symphony, DiCapo Opera, Seoul Philharmonic, and the North Country Chamber Players. Christopher has also performed as a soloist with the Glens Falls Symphony, the New England Conservatory Symphony, and the New York University Symphony Orchestra. He is also the co-founder of Summerland Music Society, a chamber music series in upstate New York. Mr. Bush has performed at venues throughout the world, including Les Flaneries Musicales d’Ete in Reims, France, the Open Air Klassik Hoppegarten in Berlin, London New Winds Festival (UK), the New School Concert Series, Harvard Group For New Music, Boston’s New Gallery Concert Series, NEC’s Keller Jazz Series, the Boston New Arts Initiative, the Isabella Stewart Gardner Museum’s Young Artists Showcase, and New London’s Summer Music Series in New Hampshire. In Boston’s Jordan Hall, he has taken part in the Composer’s Series, Enchanted Circle Series, Tuesday New Music Series, and annual Festival Weeks. Additionally, Christopher has performed in New York’s Galapagos Art Space, The Tank, Alice Tully Hall, and Carnegie Hall. Mr. Bush has worked with composers Gunther Schuller, Steve Reich, Frederic Rzewski, Lee Hyla, Alvin Lucier, Michael Finnissy, Joan Tower, Pozzi Escot, Lowell Liebermann, Paul Elwood, Walter Zimmermann, John Heiss, Tamar Diesendruck, and Malcolm Peyton on performances of their own music. With the Glens Falls Symphony, Christopher commissioned and premiered Michael Gandolfi’s Anthem for solo clarinet and string orchestra. With frequent recital partner and pianist Carol Minor, Christopher has commissioned works from composers Yumi Hara Cawkwell, Curtis Hughes, Izzi Ramkissoon, Pozzi Escot, and Lawrence Dillon. Israeli composer Guy Barash’s Talkback for Clarinet and Electronics was also written for Mr. Bush. Christopher’s performances have been broadcast on WGBH (Boston) and KBS (Korea) radio stations. On television, Christopher has performed on the PBS special A Taste of Chanukah and Korea’s MBC, SBS, KBS, and Arirang networks. A featured soloist on the soundtrack to the Huntington Theatre’s production of Dead End, Christopher has also recorded for Albany Records and Mode Records. Mr. Bush completed his M.M. and B.M. at the New England Conservatory and Ph.D. at New York University. Christopher has been on the faculties of the Boston Community Music Center, the Chestnut Hill School of Music, the Brimmer and May School, the Lincoln Public Schools, the Northampton Community Music Center, and Fidelity Mutual’s Future Stages project. He is currently a faculty member at New York University, where he teaches clarinet and chamber music in addition to directing the NYU Composers Ensemble. He spends his summers teaching at the Luzerne Music Center.